A brief history of a few of the camps. There were two types of camps under the Nazi's rule. The slave labor concentration camps where inmates were placed under harsh working conditions and starvation. The others were the actual death camps whose sole purpose was for the annihilation of the Jewish population and any other "enemy" of the Nazis. Between 1933 and 1936 thousands of people mostly political prisoners, German Gypsies and Jehovah's Witnesses were sent to concentration camps. 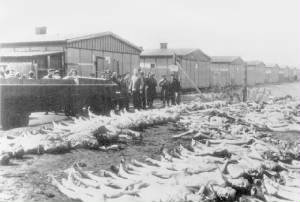 But it was not until after Kristallnacht, that 30,000 Jewish men were deported to Dachau and other concentration camps. On September 1, 1939 Germany invaded Poland and World War II began. Thousands of Poles including Jews were imprisoned in concentration camps. As the War began in 1939 Hitler ordered the killing of institutionalized, handicapped patients deemed "incurable". After public protest the Nazi continued the "euthanasia" program in secret. 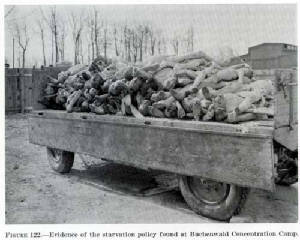 The euthanasia program contained all the elements later required for mass murder of Jews and Gypsies in Nazi death camps.